Haven't had much time to fill up the old library bag lately. I did pick up this thick book of eye candy for inspiration. 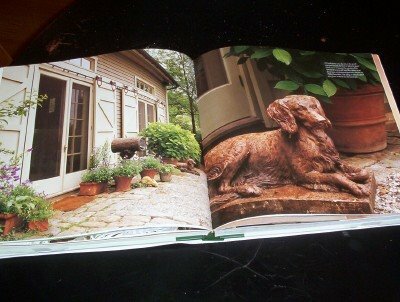 Hope your library has it, because it's a beautiful house, a beautiful garden, a beautiful book. 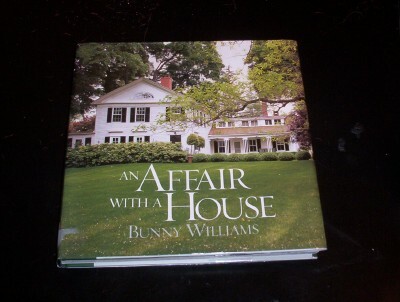 An Affair With A House by Bunny Williams. I read that book! I took from it that your dream house is a life long journey. Yes, that was a great lesson. Most of the rooms were too cluttery for me--after all, they are two antique dealers! But I loved the gardens most of all. Looks like a book I would love. Thanks for the recommendation.